We are pleased to introduce you to Jill Knapp-Zitron. It looks like she has brought a visitor to CLC, as well. Her adorable little dog, Brownie! How she gets any writing done with her around is beyond us! 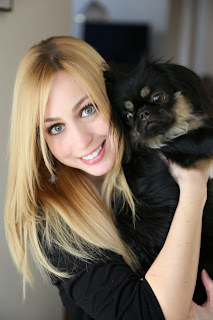 If her other dog is this cute, she must have to do her writing outside of her home. 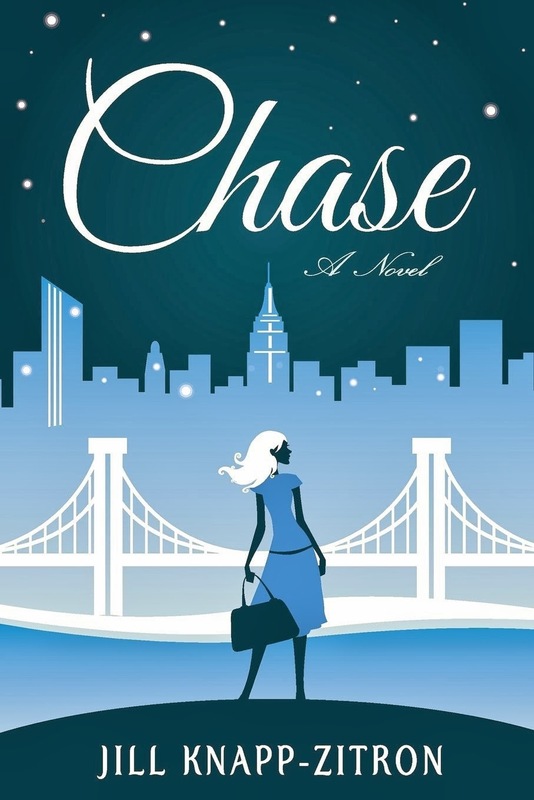 Chase is Jill Knapp-Zitron's debut novel. A Native New Yorker, Jill spends her time blogging for The Huffington Post, writing about New York City, dating, and relationships. She also holds an M.A in Psychology and taught at the college level for over three years. She is a graduate of Kean University and also holds a Master of Arts from The New School for Social Research. Fun fact: Jill is a seasoned figure skating coach, and skated competitively herself for TEN YEARS! Jill currently lives on the east coast with her husband. You can find Jill at her website and on Twitter. She has one copy of Chase for a lucky US reader. 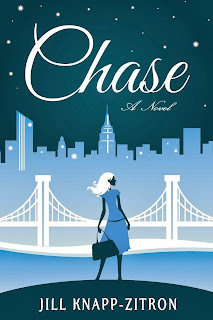 What is the inspiration behind Chase? A lot of things inspired me to write the novel, Chase. First, was living in NYC at the time and taking everything in around me. One thing is true about New York, the energy can be very inspiring. Secondly, I was going through a pretty difficult time in my life, and I needed somewhere to channel my thoughts. Thirdly, music and television shows have always inspired me to dream, and create stories in my mind. The song "Face Up" by Lights inspired a part of what I wrote in Chase. The quote, "The city's shining bright, but you don't see the light. How come you concentrate on things that don't make you feel right?" had an impact on this story. A few more songs are currently inspiring the second Chase book. I've always enjoyed writing, ever since I was younger. But what made me decide to pursue it, was my husband. He stood by me with my decision to change careers and gave me the support I needed to take a leap. If you were stranded on a dessert island, what would be your three must haves? My husband, and my two dogs! What is something you love? Hate? Something I love is that feeling you get the first true day of fall. It reminds me of going back to school, which while I dreaded the assignments, also filled me with hope for a new beginning. I look at fall as the beginning of a new year, not January 1st. Something I hate is how much people rely on Social Media to stay in touch with each other. You don’t notice how much time passes when you’re not seeing someone face to face. I want to be friends with you, not your avatar. Since we're entering Fall, tell us a favorite autumn memory. My favorite fall memory has to be the first semester of my freshman year of college. It was the first time I was ever on my own, and everything felt so exciting and new. I went to my first, and pretty much only Halloween party, which is disappointing because I love Halloween! I met so many new people, and had so many new experiences. How did you get into the world of blogging? What are some topics you blog about for The Huffington Post? I got into it the same way anyone else does, I suppose. I sent out writing samples until I got a bite. And believe you me, I sent them out to a bunch of sites! Unfortunately, most of the time you don’t even hear back. When I write for The Huffington Post, I mainly stick to women's issues and relationship issues, but I like to mix it up sometimes and talk about entertainment. Dating is my favorite thing to write articles about. Although I haven't been on a date in a few years, I definitely went on enough bad dates before then to keep me with material to write about for a long time. Can you share any advice for future writers? I can certainly try! My first piece of advice, is to write what you want to write. Don’t let your story be steered by what you think people want to read. For instance, if two characters genuinely don’t work out together, don’t have them get back together in the end just because it’s what people expect. Don’t write a happy ending, if you don’t believe your story should end happily. Essentially, write what you love. Remember the story teller is you, the reader is the audience. My second piece of advice, is to try and imagine how you want the book to end before you get to the halfway point. Try to make sure the end of what you wrote ties up nicely with the beginning of the story. Thanks to Jill for visiting with us and for sharing her book with our readers. How to deal with hubby's parents! At the risk of sounding like an Old Goat, please advise young women today about their speech. I find it so sad and cannot help but cringe when I hear a young woman on TV with a Tweety Bird type voice or one that comes across in a monotone fashion or even very loud. Please speak in a calm, normal voice and pronounce your words. Thank you! write about places to visit/not visit in the city!